A Girl has to make a living…. Being able to have the confidence of delivering a beautiful piece of music vocally is a feeling second to none. Many people reach a level of singing proficiency without coaching or lessons. But to reach the full potential of your voice, you will need a coach, mentor, and instructor. Yes, I teach others the gift that was given to me! To that end, I am like no other instructor out there. Why .. Because I make you experience what it is like to sing like you feel you should. 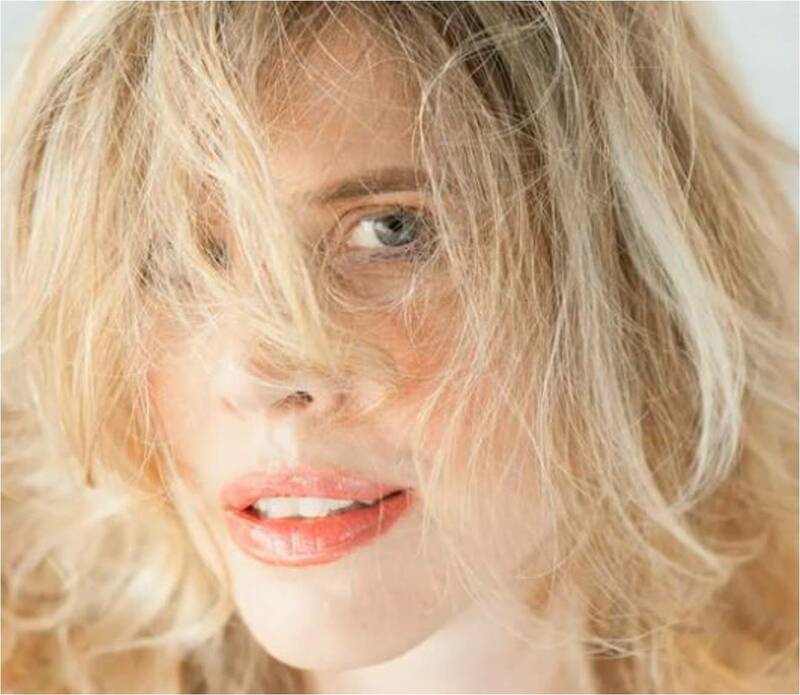 Discovering the full range, depth and dimension of your voice..
as you all know, I sing opera professionally and have performed in New York, Italy, Boston, and Monterrey to name a few. 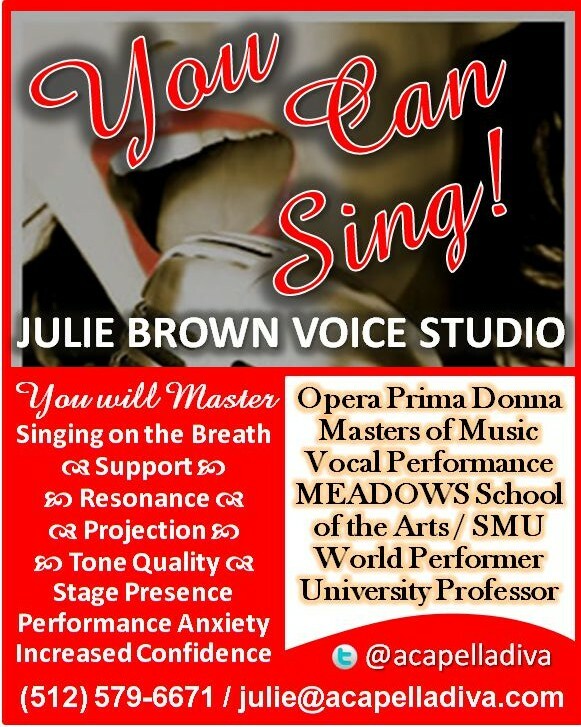 I have also taught voice on the University level (I have a Masters of Music in Vocal Performance (SMU Meadows School of Arts Conservatory)) and have coached and instructed professional musicians in all genres: pop, swing, soul, blues, jazz, country western, rock, bluegrass and of course opera. My GOAL in teaching other how to sing is to help them develop their ideal singing voice through the mastery of techniques that I have not only learned over my career, but have practiced and taught to others. There is no experience quite like seeing an audience stunned after a glorious vocal performance. I strive to have my students experience that too! I want them to discover that divine Diva of voice (and Guys.. their deity).. I have come back to Austin to teach and perform. I presently am the vocal coach of Austin High, my Alma Mater. My flier is below and your can find out more about my studio on Facebook at Julie Brown Voice Studio.